Our Story 2018 - Anthropose | Get. Give. Change. It's about changing lives. Learn More. 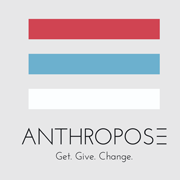 Anthropose is a for-profit social-good company that aspires to recognize and identify social problems and create viable, sustainable and scalable entrepreneurial solutions for them. We introduced our line-up of eyewear as a means to solve the deep rooted problem of cataracts and high drop-out rate among students attending public schools in Nepal. While giving the person wearing our eyewear protection, comfort and style by crafting high quality eyewear, we also create a platform for communities to unite together to give the gift of vision and help struggling public school students shore up their fundamentals. We collect enough funds to sponsor a cataract surgery for 1 person or a free remedial course in rural Nepal. The good news is a 15 minute surgery can cure cataract and restore eyesight within 24 hours. Once the sight is restored, it also restores independence, economic potential and opportunities. The irony of people not being able to afford life-changing cataract surgeries despite world class services being available in Nepal is why we saw the need of a changing dynamic in the country’s eye care system, where support from the government still lacks. Every year 1.4 million children enroll in grade 1 in Nepal. However, 70% of the total enrolled drop out before grade 10. Weak fundamentals are one of the primary reasons for the drop out. We fund remedial education courses for the lowest-performing students in grades 3-5 focused on helping them gain foundation proficiency in Nepali and Mathematics. Students gain proficiency in Nepali & Math, an increased interest in learning, and the confidence needed to continue and complete an education. We believe education is a way for children to change their own stories, the stories of their community and ultimately the story of the nation. Every child in Nepal regardless of where and when they were born, they deserve to learn the foundation skills they need to succeed in school and in life. Our giving partners, Tilganga Institute of Ophthalmology and Changing stories, identify the region that are in most need of outreach medical eye camps and the lowest performing students in Grades 3 and 4 from their partnering public school respectively. When you buy a pair of Anthropose sunglasses, we provide our Giving Partners with financial support and collaborate with them to restore the sight to someone in need or provide remedial courses to the children. A team of eye-care professional then provide essential treatment, cataract surgeries and post-surgery care in the identified areas. As for the remedial courses Changing Stories fellows, often local youth, teach a total of 72 2-hour long after-school classes aimed at helping students catch back up in Nepali and Math. We collect feedback about our giving and seek to improve our support to achieve our long-term goals and repeat it all over again.